Fridge with ice box in black finish. 14 litres in the ice box and 95 litres (net) in the remainider of the fridge. 55 cm width, 60cm depth. Door storage. A+ Rated. 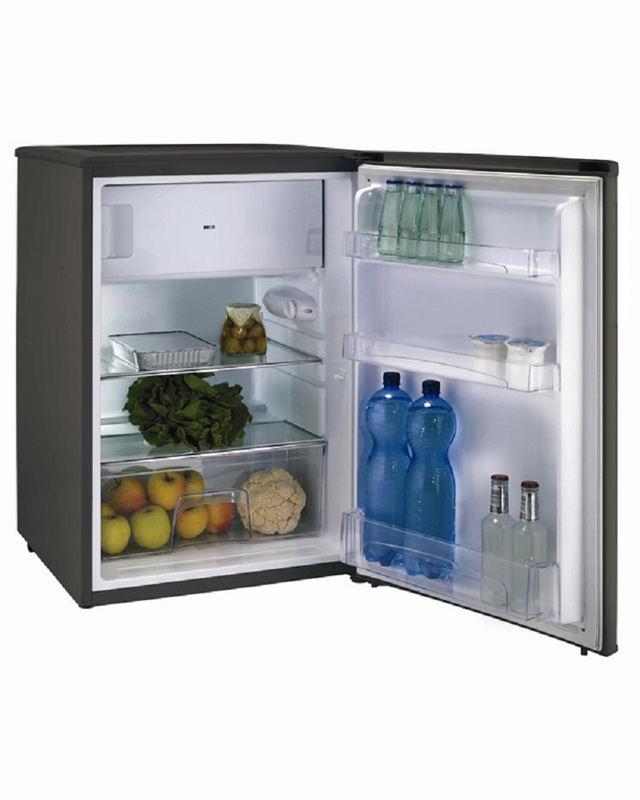 This undercounter fridge with ice box from Hoover is a quality appliance at a very decent price. It is an Ice-Box Fridge, meaning it has the added convenience of a Freezer compartment within the main Fridge enclosure – a much sought after feature – handy for ice cubes, or big enough for quick chilling some beers or for a couple of bags of frozen veg. This compartment is a spacious 15 litres and has been awarded a 4 star rating. The Hoover HFOE54B is a 55cm wide refrigerator (to fit a standard kitchen appliance space) and also achieves an A+ energy efficiency performance – helping you save money in the long term. Below the freezer compartment are two shelf levels with a salad crisper / vegetable box at the bottom and three levels of in-door balconies for bottles and smaller items. The finish is in an elegant black, but if you prefer white — check out model HFOE54W. Glass Shelves: Spill resistant glass shelves with raised edges prevent spills from contaminating the rest of the refrigerator. Versatile Door Storage: These handy storage areas in the fridge door are perfect for storing items such as eggs, cheese and small jars.